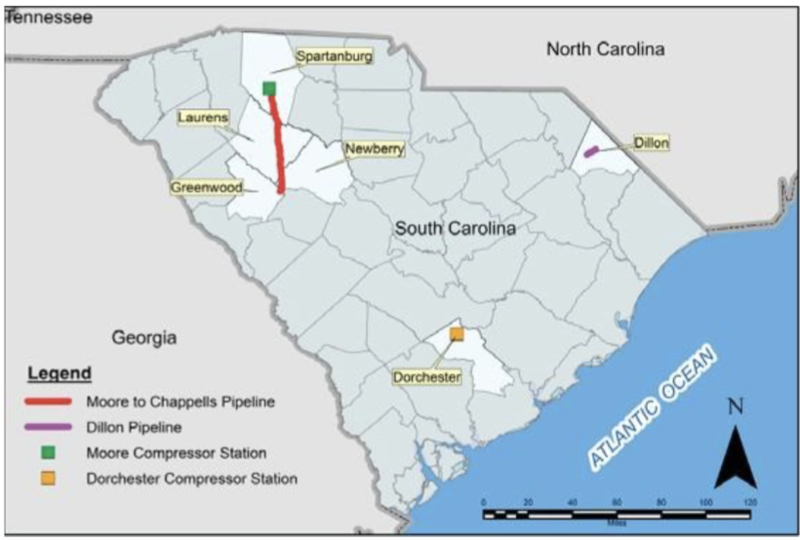 FERC has approved Dominion Carolina Gas Transmission, LLC’s request to commence service of the Transco to Charleston Project in Spartanburg, Laurens, Newberry, Greenwood, Dillon, Dorchester, Aiken, and Charleston Counties, South Carolina. According to FERC’s Rich McGuire, rehabilitation and stabilization of the construction workspaces is proceeding satisfactorily, and Dominion has committed to complete the remaining restoration activities and file bi-weekly status reports until all restoration activities are complete. Now complete, the Transco to Charleston Project will allow Dominion to provide 80,000 Dth/d of firm transportation service to local distribution, power generation and industrial customers.